Apparently our surgeon did have some OR time before that date, but he is heading out of town for a few days, and did NOT want to do Evanna’s surgery just before going to the airport. That’s right – girlfriend has gotten herself quite the reputation, and so because of that, he wants to wait until he gets back before doing Evanna’s surgery so he’s around “just in case”. I still haven’t decided whether to chuckle, be thankful for the thoughtfulness/extra precautions, or annoyed at this whole scenario (a combination of all 3 perhaps?? lol), but it is what it is, and we’re already just over a week away from this date, so at this point it doesn’t really matter anymore. I know there is a small chance we could get bumped again, but we don’t think it will happen due to how much this is already being put off and a vegetation on Evanna’s valve was clearly seen (indicating her valve is definitely infected and needs to come out asap) on our ECHO last Friday. So we finally got our first bit of news from California last week as our cardiologist received Dr. Hanley’s initial opinion on Evanna’s case. He sent a letter, and in it he stated that Evanna’s case is definitely on the extremely difficult side (even for him), and isn’t sure if there is anything he will be able to do. HOWEVER, before making any final decisions, he requires a new cardiac cath to see if there is anything he can rehabilitate (even within lung tissue). So what does that mean for us? WELL, essentially we are in for a very busy few months, and our upcoming OHS is creating even more logistical problems then we had ever anticipated. Basically we are still going to proceed with going up to Edmonton next week and replacing Evanna’s valve as originally planned (as Dr. Hanley agreed that we need to deal with this endocarditis before he will even touch her). We then will probably transfer back down to Calgary once she’s stable enough, and complete the regular “six week recovery” timeline (which puts us around mid-January). Then we will go BACK up to Edmonton (which I’m assuming another ICU transfer will have to be arranged) and do a cardiac cath and send those results down to Dr. Hanley for him to review. 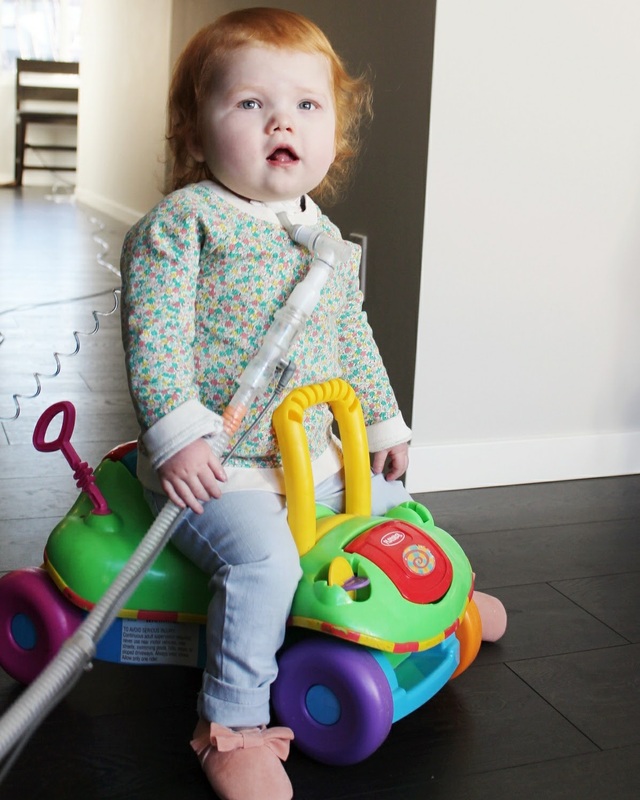 Oh, and did I mention that we’re also trying to book a bronchoscopy here at ACH (Alberta Children’s Hospital) around the same time to see if Evanna’s increased strength has finally reflected in her airway and make some vent weans? Oi. Overall, while I wish we were given a clearer answer, we (our cardiologist included) were not surprised with what written in Dr. Hanley’s letter, and somewhat already knew what was going to be said (ie. requesting a new cath…we just didn’t want to put Evanna under this very invasive procedure without a really good reason). So that’s where things currently stand and all I have in regards to updates. Disclaimer: I know a LOT of heart/medical moms follow my blog and Evanna’s journey, and have been sent several messages (with only the best intentions) over the past year with suggestions about other places we could/should seek opinions from. I’m well aware of the fantastic cardiac programs at BCH, CHOP and Texas (do you know how many facebook heart mom support groups I’m apart of?? lol), and the incredibly high rankings they boast in the USA as “centers of excellence” for pediatric cardiovascular surgeries/programs and the absolutely amazing things they do. However, we are not going for the hospital but the SURGEON. Our healthcare system sends children from Canada to many different facilities all over the USA depending on the nature of condition, including the centers I just listed and more. Evanna has a very unique and rare congenital heart defect, and the surgeon that specializes in Evanna’s particular CHD is Dr. Hanley. He pioneered the “unifocialization” (the initial surgery Evanna had back in 2014), and performs surgeries on children almost identical to Evanna on practically a WEEKLY basis (one MAPCA mom overheard the CVICU nurses call it “unifoc Wednesdays”), and one of our cardiologists here stated “imagine half an ICU of just MAPCA kids – because that’s what it’s like”. He is the best of the best at what he does (even considered a “last resort” for many CHD cases), and it’s why our medical team here (our own world renowned/first class cardiac surgeon included) has approved this referral, because they know that if Evanna has a chance whatsoever – Dr. Hanley will provide it. Unlike any other pediatric cardiovascular surgeon, he is known for actually going into lung tissue to rehabilitate collaterals (which is what we’re somewhat hoping he can do for Evanna), and he gets sent cases from both around the USA and world (ie. China for example) to perform surgery on. I’ve stated it in past blog posts, but I’ll say it again: according to pediatric cardiovascular literature (and bluntly said to me by our surgeons team) – MAPCA’s is considered the MOST difficult CHD to manage surgically (don’t believe me? Read this article HERE where it’s stated right in the first paragraph). Please, please trust that Nick and I will always continue to advocate for Evanna as we always have, and will leave no stone unturned for our daughter, however, our options are limited and that’s just the reality. St. Louis -- the children’s hospital that is considered the “center of excellence” in the WORLD for pediatric heart/lung transplants has also recently released an article that “collateral dependent” children (ie. MAPCA kids who do not have native pulmonary arteries, and rely solely on collaterals for pulmonary blood flow like Evanna) will no longer be considered for heart/lung transplants due to devastating results (to avoid getting too graphic, basically they have not had one patient live longer than 6 weeks postop due to horrific complications). SO, as you can see, both myself and our medical team have exhausted every option and avenue, and while modern medicine has come a long way, it unfortunately still has its limitations today (which is why CHD research remains so important). Dr. Hanley is the “MAPCA guy” in the CHD surgeon world (which isn’t that big btw), and if anyone can help improve Evanna’s prognosis and quality of life – it will be him. It’s been stated by both cardiologists and parents that he likes a challenge, but I am also personally aware of cases that he has had to turn down too (essentially he NEEDS something to work with just like any other surgeon at other hospitals would too), and at the end of the day we have to consider what’s best for Evanna and how much more we put her through too. As always, thank you for your continued love, understanding, concern and support. I think that is incredible news ! That Dr. Hanley will consider Evanna's case at all. I have faith . Without going into too much detail from my own life , The Lord has shown me that he can make a way where there is not one ! Evanna is looking so beautiful these days with her beautiful red hair growing . I will pray for you three. As always, whenever I read these posts I think, you guys are doing such a great job! Continued prayers and support. You guys are such great parents to Evanna! I'm sad that you have to put a disclaimer on your posts like the one you have put above - although I do know it's necessary. No one should have to deal with all that. Any and all decisions and judgments should belong exclusively to you and your husband. Everyone else should just stay out of it! Sorry for the mini rant. I know you guys will make all of the right choices for your beautiful sweetheart! I will continue to keep Evanna in my prayers!! It's not really like that. As heart moms we like to give opinions, advice + suggestions (myself included), and it was my way to reassure everyone that we are doing everything possible for Evanna. There is definitely a chance that Dr. Hanley will be unable to help Evanna (we can't see blood flow to her left lung...so that's the delimma), and as seen in other heart forms, heart moms will comment to get an opinion from such and such place and it's something I don't want to happen if that's the case. We don't rank hospitals here in Canada like they do in the USA and it's definitely a unique thing to see, but I wanted to emphasize it's not about the hospital for Evanna's very unique CHD, but the surgeon (look up MAPCA's and he's the first person listed) and is beyond talented when it comes to collaterals.